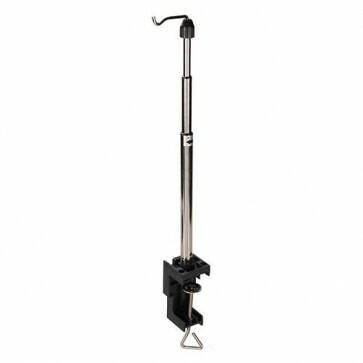 Brand New Telescopic Hanging Stand Keeps tools within easy reach around the garage or workshop. Desk edge clamp with jaw capacity of 65mm. Rotating hanging hook and holes for permanent fixing. Height adjusts from 250-550mm.